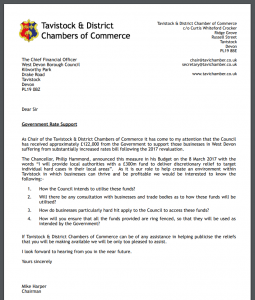 The Chair recently sent a letter (click below) to West Devon Borough Council with regards to businesses who are suffering from substantially increased rates bills. WDBC have received approximately £122,000 from the Government to support such businesses, and the Chair has asked how these funds will be utilised, if there will be any consultation with local businesses and trade bodies, how businesses can access these funds, and how the funds will be ring-fenced. 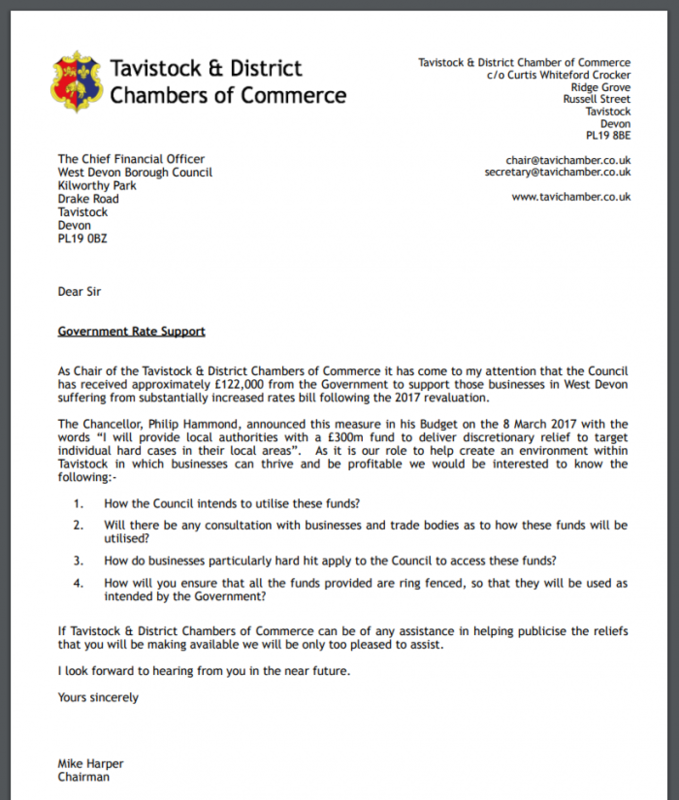 We understand Tavistock BID have made a similar enquiry, and have not yet had a response. 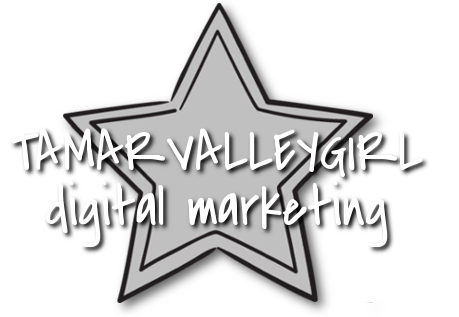 We will keep members updated on any response we do receive, and any further action taken. If you have any comments to make on this, please contact the Chair.